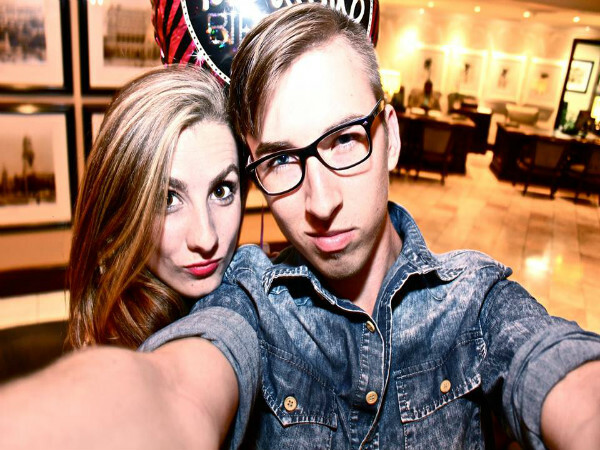 The Pietermaritzburg man was just 19 when he received his first diagnosis. One thing’s for sure – nobody else has a tattoo like it. That’s because Stefan Rust’s inking is of an x-ray of his right knee after he had surgery for bone cancer at the age of 19. The 24-year-old grew so tired of relating the story of his first cancer diagnosis that he designed the artwork and had it tattoed onto his right bicep. Now instead of having to draw a diagram every time someone asks about his five-year battle with cancer, he can simply flex his right arm and show them. Stef is currently undergoing radiation therapy for his fourth bout of cancer. After being diagnosed with stage 3 bone cancer in 2011, he battled lung cancer in 2014 and again in 2015, and in February this year another tumour was discovered in his right lung. When we chat with Stef a day after a radiation session, he’s visibly exhausted. The treatment has taken its toll, but he perks up when he tell us that the end is almost in sight. It’s been an arduous five years. Since 2011, Stef’s life has been a constant barrage of cancer diagnoses, painful surgeries and gruelling chemotherapy. 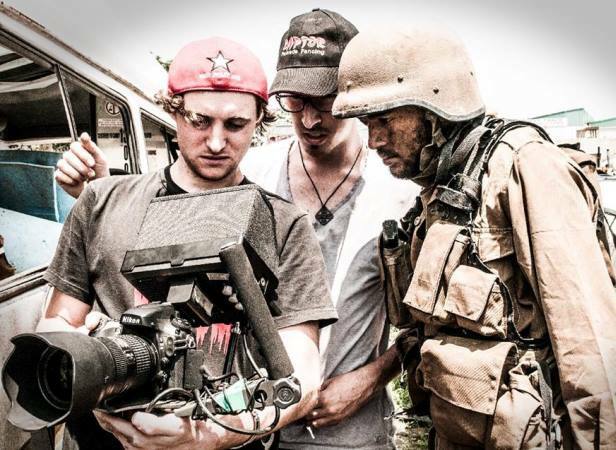 But instead of letting it get him down, the Pietermaritzburg filmmaker shares his journey with pride. 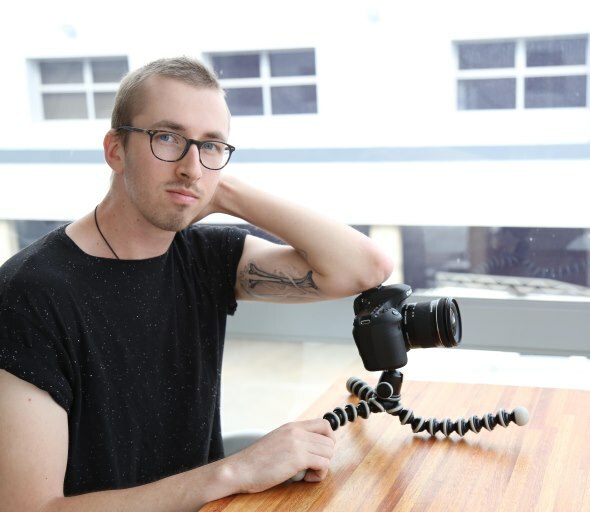 Turning his experiences into art has proved to be cathartic for the young filmmaker. After his third cancer diagnosis in 2015 he decided to make a film called Portrait of a Lifehouse. “It was a symbolic film about my personal journey with cancer, and it was also the first time I found myself able to really talk about it,” he says. Stef drew inspiration for the film from a dream he had. “The first night after my initial diagnosis, I had a nightmare. A giant wasp kept stinging my knee, and then the tumour grew out of it. In the film I portrayed that imagery, but I used butterflies – something beautiful – to battle the eggs that kept growing out of the knee. It’s not your stereotypical cancer film,” he says with a laugh. Then 19, he thought the sharp pain in his right knee were a result of his daily 20-minute walk to and from the University of KwaZulu-Natal, where he was studying visual art. But a biopsy revealed a massive tumour in his right knee. “I remember hearing the doctor tell my mom to prepare for a long battle ahead. I didn’t know what to really think or feel,” he says. Stef first had chemotherapy to reduce the size of the tumour and in February 2012 underwent a full knee replacement. The chemo he had afterwards to reduce the risk of the cancer spreading elsewhere was particularly gruelling. Stef was given the all-clear after the chemo and returned to his studies and life with renewed optimism. But in 2014 his world came crashing down again. 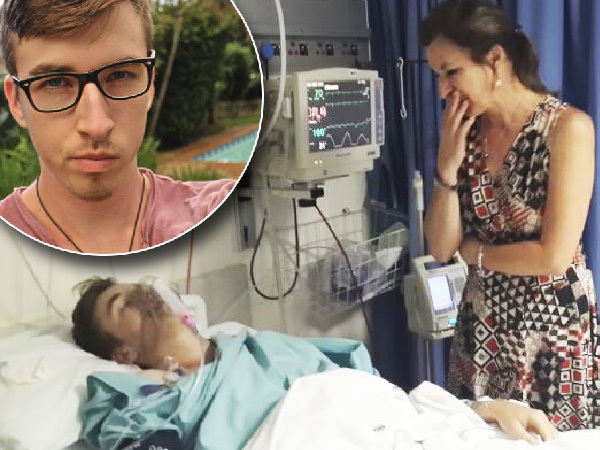 A routine scan revealed he had a massive tumour in his right lung. “I can’t explain it, but the news was more sickening than the first time I was diagnosed with cancer,” he recalls. Two days later Stef had surgery to remove the tumour. 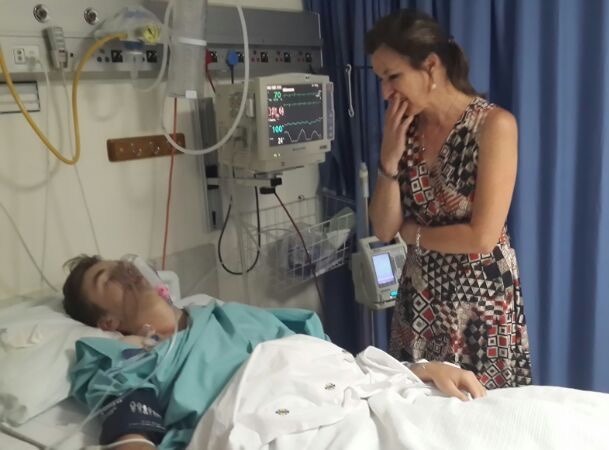 “The pain I felt afterwards was like nothing I’d ever experienced before,” he says. 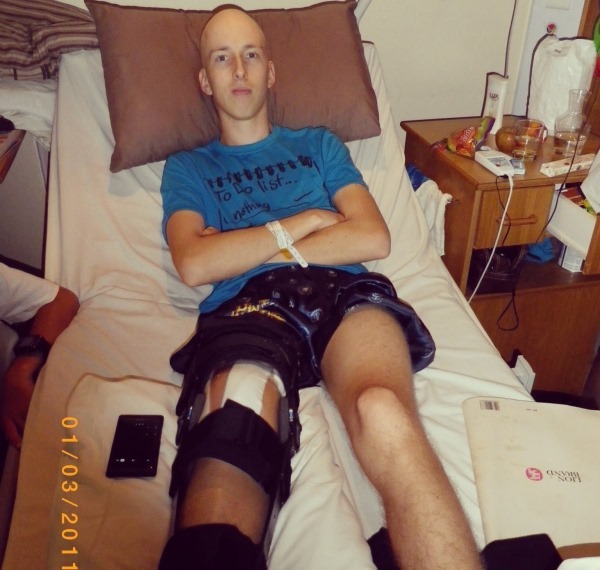 Despite the pain, Stef made the bold move to relocate to Durban a few weeks after the operation to start a new life there. 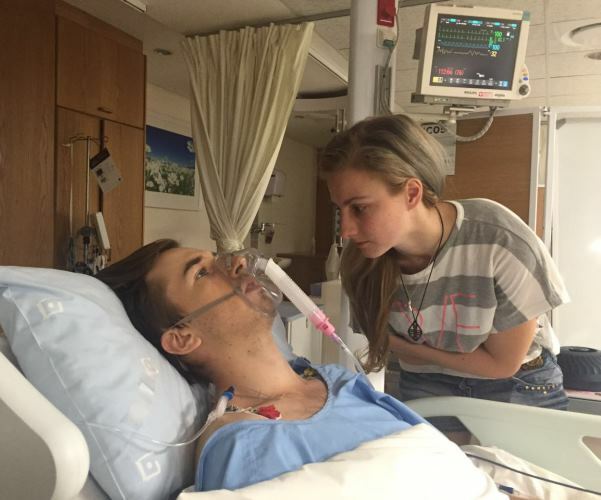 Telling his girlfriend, Tayla-Rae Coetzer (22), that his cancer had returned – not once, but three times – has been one of the most difficult things he’s had to do, Stef says. “It was extremely difficult on her because her mom had cancer when she was younger, and now she had to see me go through it too. I remember when I received the first lung cancer diagnosis in 2014 and had to let her know. . . I couldn’t do it. My mom had to tell her because I was crying so much,” he recalls. But Tayla-Rae took the news in her stride and has been by Stef’s side through it all – even the not-so-pretty post-chemo vomit bits, he says. 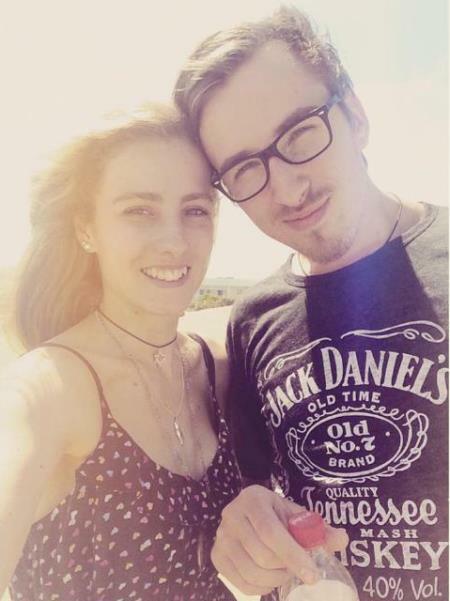 A film graduate herself, she’s also helped Stef to document his most recent diagnosis and treatment for his popular YouTube channel in form of monthly video diaries. Stef’s short films have been popular with both local and international viewers, many of them fellow cancer patients who’ve drawn inspiration from his experiences. Next year the couple will be relocating to Cape Town, where they hope to begin a new – and cancer-free – life together. “Film saved me from cancer, and now I live for film,” Stef says. “My greatest hope is that my films will help others to notice the beautiful things in the world, be it a sunset or a sunrise. I want to inspire people to live their lives to the fullest.